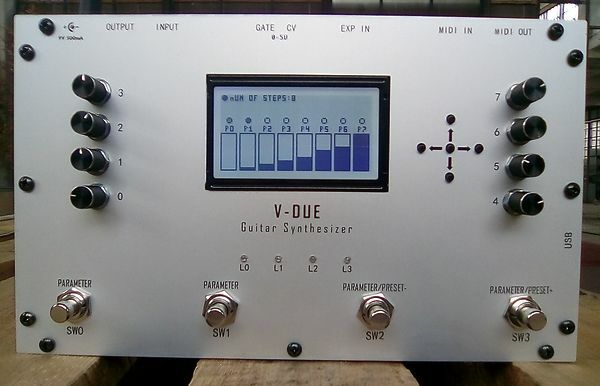 V-DUE is a monophonic guitar synthesizer based upon the principle of subtractive synthesis, the pedal accurately tracks the signal coming from a guitar, detecting the frequency of the note being played and driving the on-board oscillators. 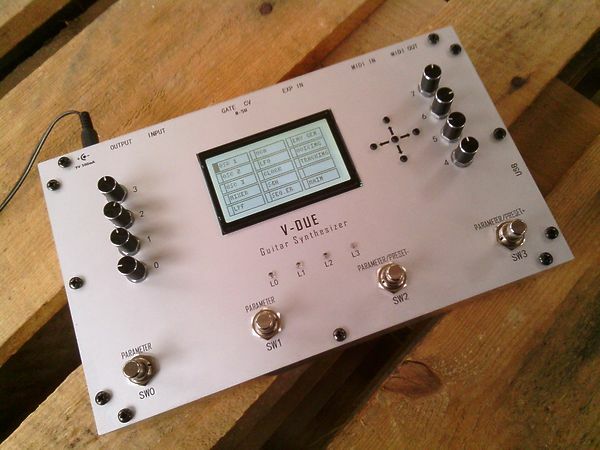 From there on the signal can be processed in different ways, by mixing, filtering, modulating, applying effects etc.You can save presets, interface it with a MIDI controller to control any of the parameters, select preset or play an external MIDI equipped synthesizer. 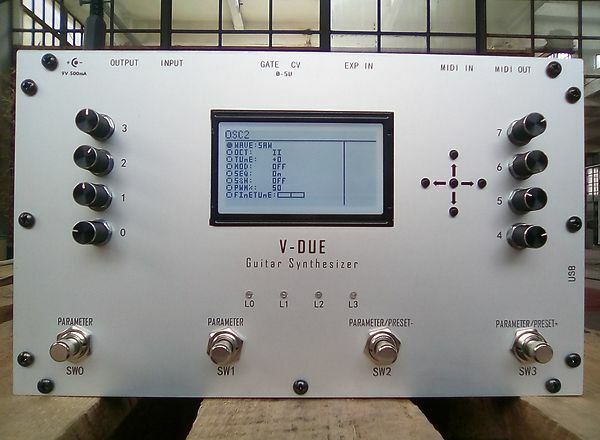 Potentiometers, external expression pedal and footswitch can be assigned to almost any of V-DUE parameters by simply navigating to one of the menus, select the desired parameter, long pressing the ENTER button and moving the pot, expression or footswitch you want to assign. When you save a preset the assignments are saved too. One useful function is the LIVE screen, which serves as a reminder of what controls are assigned to parameters, the name and number of preset actually in use and, if a MIDI controller is plugged in, the LCD screen pop-ups the name of the parameter you are dealing with from the remote MIDI controller, all is done in real-time. The USB port can be used to upgrade the user interface or upload new audio applications. 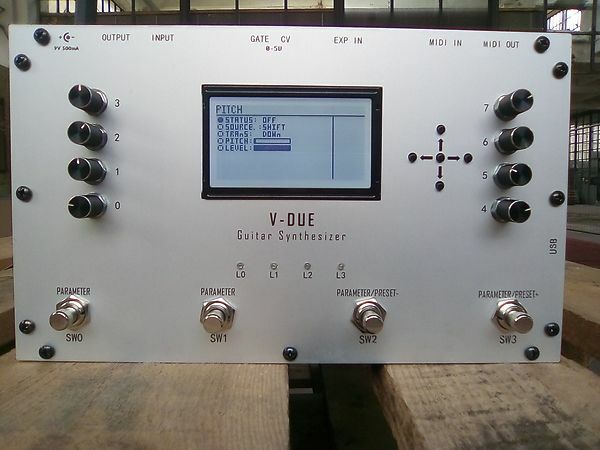 CV-GATE can be used to send control voltages to an analog synthesizer or just any pedal that accepts a control voltage as input. 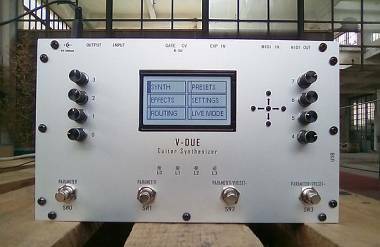 CV range is 0 +5V.